Fireworks? Gunfire? Anybody know what that was in the #eastvillage NYC a minute ago? 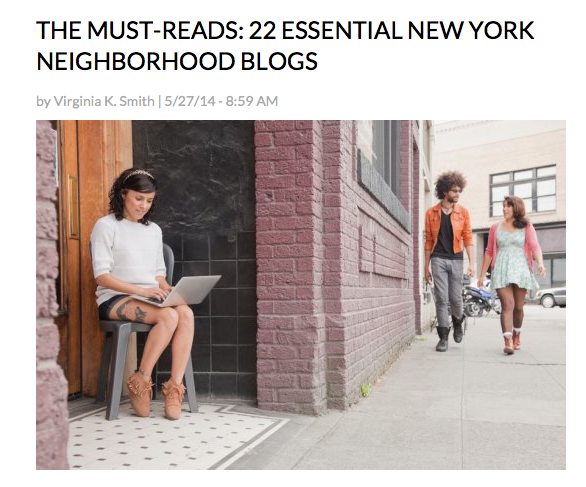 An EVG reader writes in about an incident that occurred yesterday afternoon on Third Avenue shortly before 4. 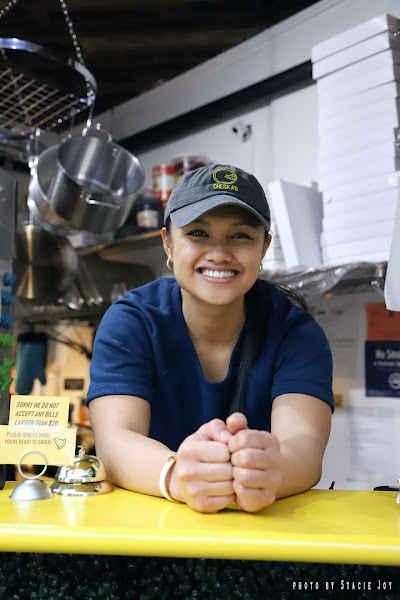 The reader was on the northwest corner at Ninth Street "when we heard a series of pops, that sounded like gunshots, from a block or two south. We couldn’t see down that way, because of the angle, and because there’s scaffolding up there. People started running north, trying to scatter." Several people, including the reader, took refuge in a nearby shop, where the employee locked the front door. After a few minutes: "We peeked out, and everything was back to normal, almost immediately. People were walking, and it was like nothing ever happened. After a couple of minutes, we came out. There were a couple of cop cars around, a block or two south, but clearly it hadn’t been a shooting." People who experienced this are curious to learn more about what happened. 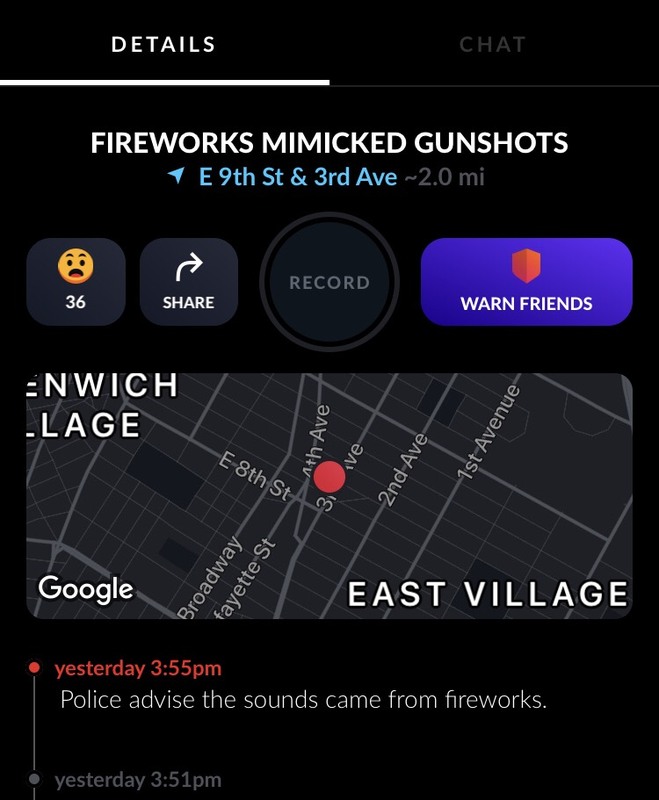 Was it a bunch of dumb kids with some fireworks? Part of some kind of student art show? Disgruntled Jets fans? Or did someone have a more malicious intent? 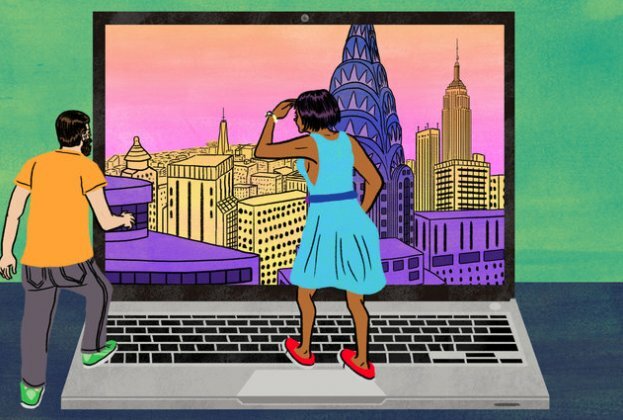 Per the reader: "The rapidity of it – the moments of panic, followed by the swift return ... to normalcy, as if nothing had transpired – was surreal, out of a Wallace Shawn play." Sad comment on how we have to live today because of a misinterpretation of the 2nd amendment. Are you sure it wasn’t that Trump Train Winnebago with all of the Trump banners on it parked outside of Westdise Market this weekend? They seemed to be selling Trump t-shirts inside the thing, which I think had Black Michigan plates but it looked 100% Kentucky. It was decorated all over like the van used by the MAGA Bomber, only bigger, and with some of the same pro-Trump graphics. People were gawking at it in disbelief. They were probably in town for the Veterns Day Parade, but by all the shocked stares and “What the fucks?” they were getting from pedestrians, they probably knew that they were parked in the wrong neighborhood. Remember the city before Rudy cracked down on fireworks and firecrackers? 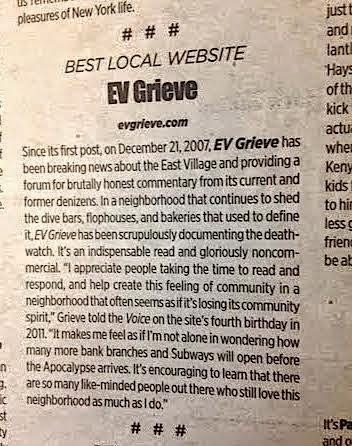 I'm sure most in any EV Grieve thread hated it but I enjoyed it around Chinese New Years and the fourth of July. And yes there were gunshots mixed in. It was rougher then. The illusion that things are "coming apart" these days is because of social media all news all the time. Events that would have been maybe a small paragraph on Daily News page 11 are now amplified by legions of keyboard pundits and their hysterical shock troop keyboard warriors. New York commuters celebrating not having Joe Lhota in charge of MTA anymore. 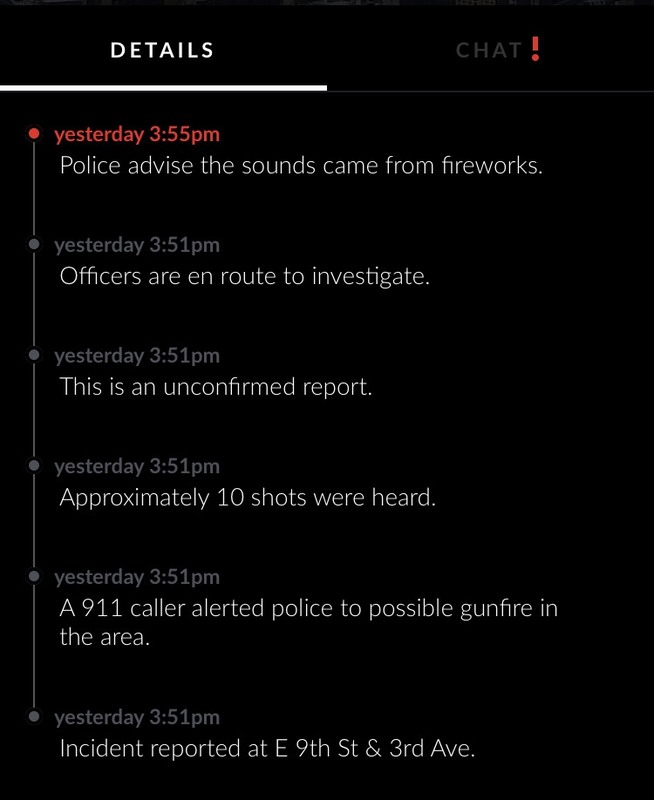 I live close by and it was clearly fireworks. 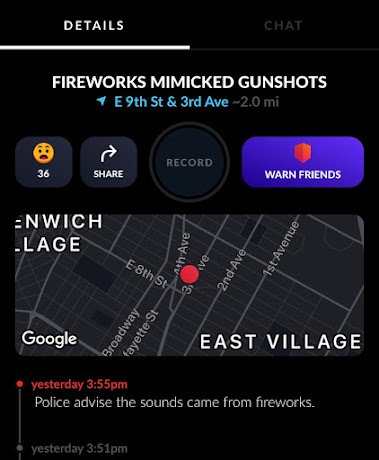 So many people think fireworks are gunshots. Why? Because they have only heard them on TV or the movies. 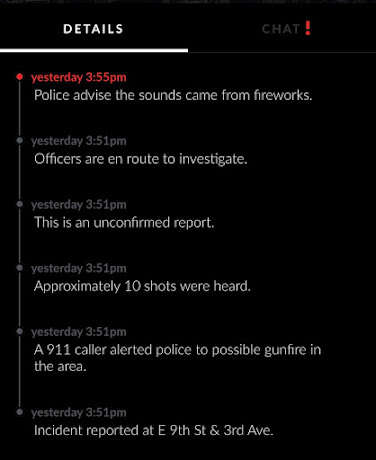 Gun shots do not sound like fireworks. They sound like sharp pops with no lingering echo. Cititzen has been flooded with "Sounds of Gunshots"...and I usually think...probably fireworks. 6 months ago I was up late and heard 4-6 sharp pops.....I looked up and thought...now that was gunshots. 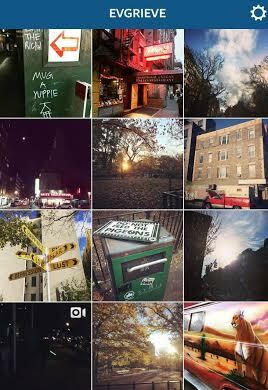 Sure enough someone was shooting on Ave C.
November 12, 2018 at 2:49 PM - voice of wisdom.